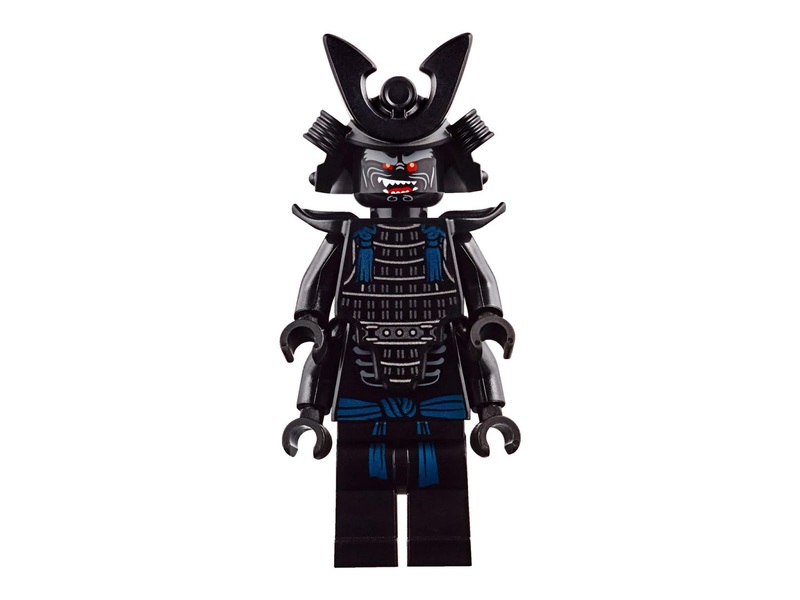 www.onetwobrick.net: set database: LEGO 70656 garmadon, garmadon, garmadon! 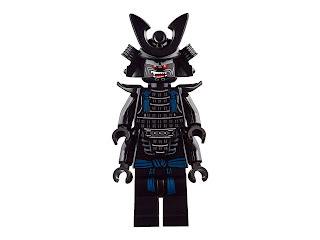 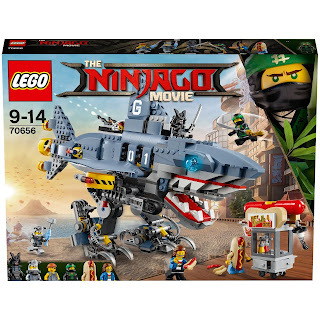 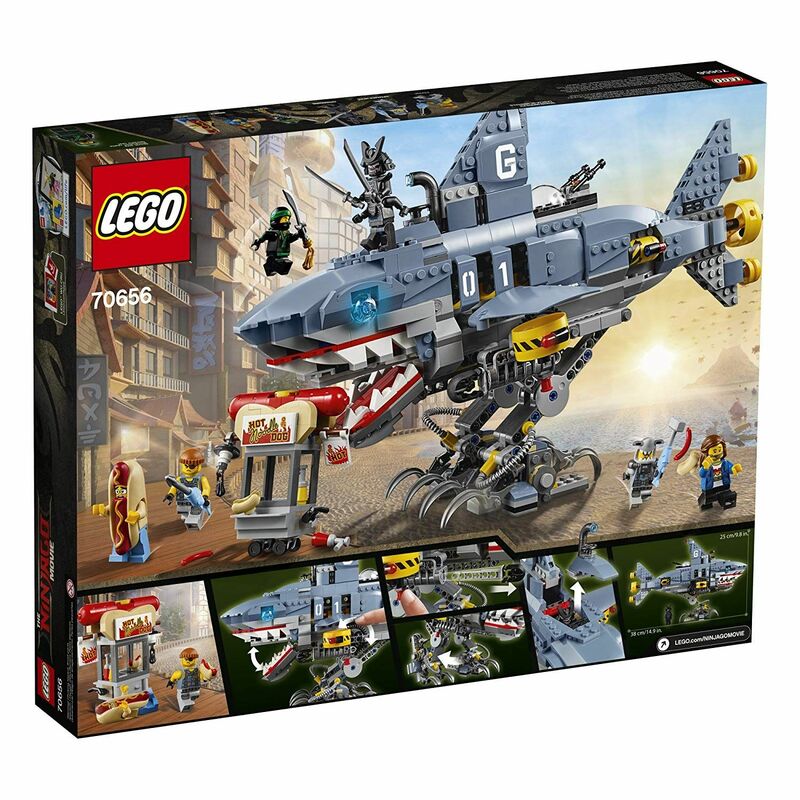 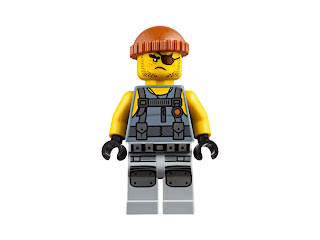 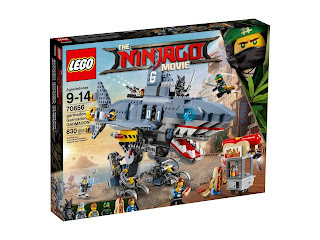 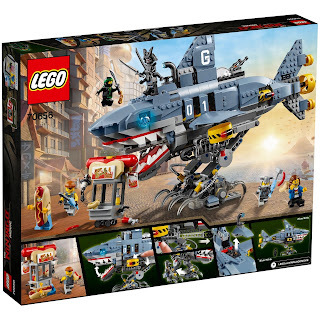 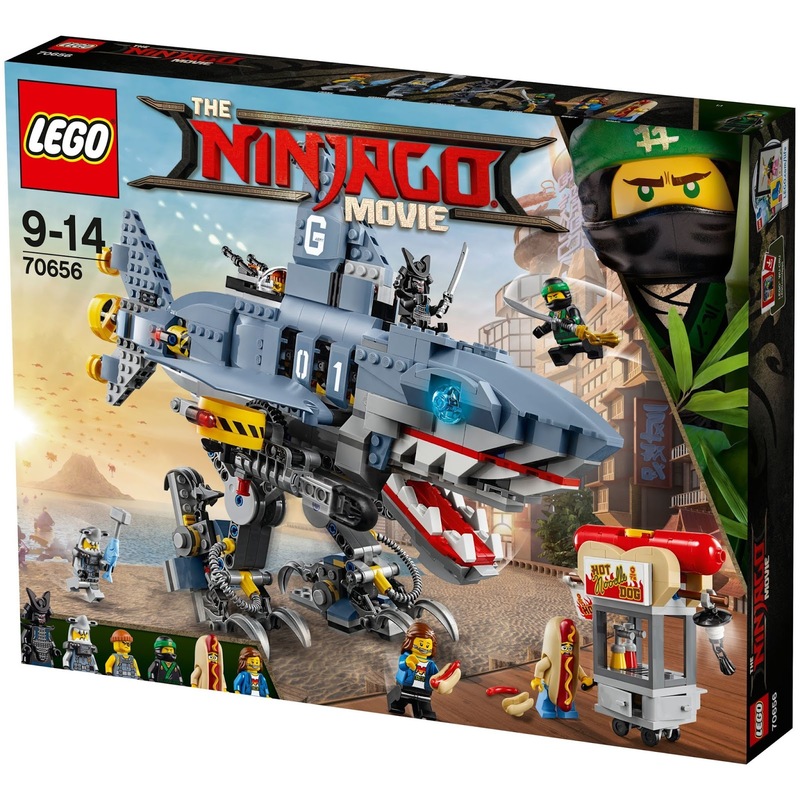 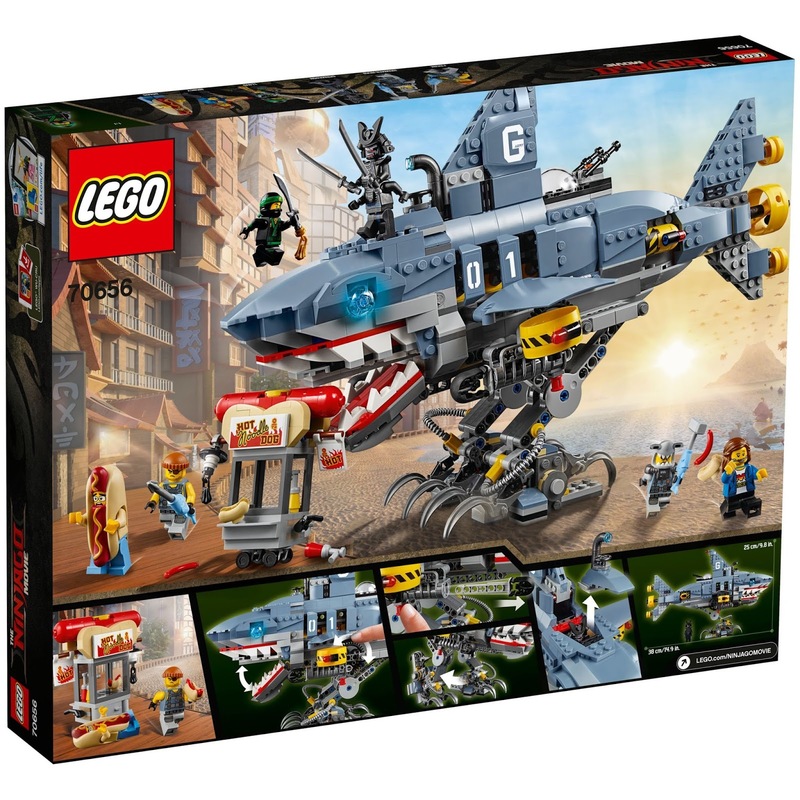 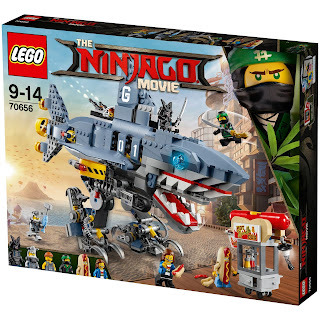 set database: LEGO 70656 garmadon, garmadon, garmadon! 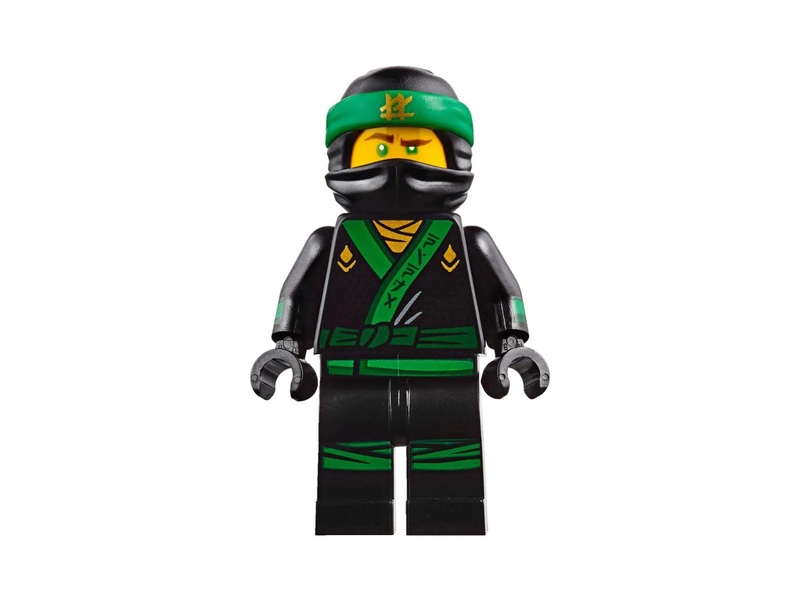 set name: garmadon, garmadon, garmadon! 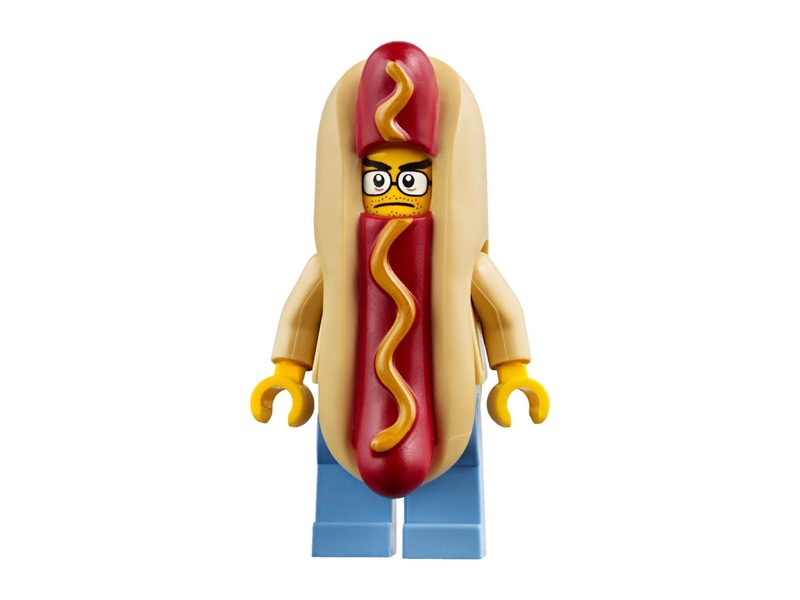 come with a garmadon shark mech and a hot dog stand. 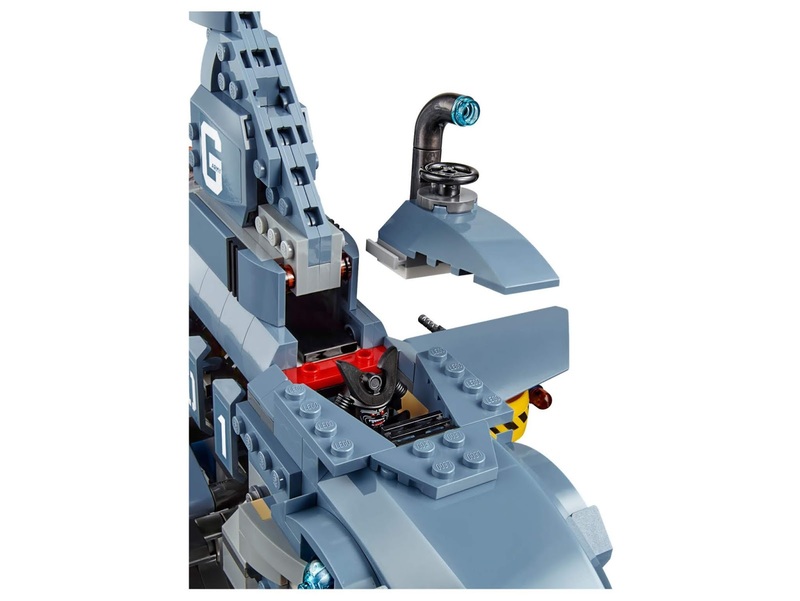 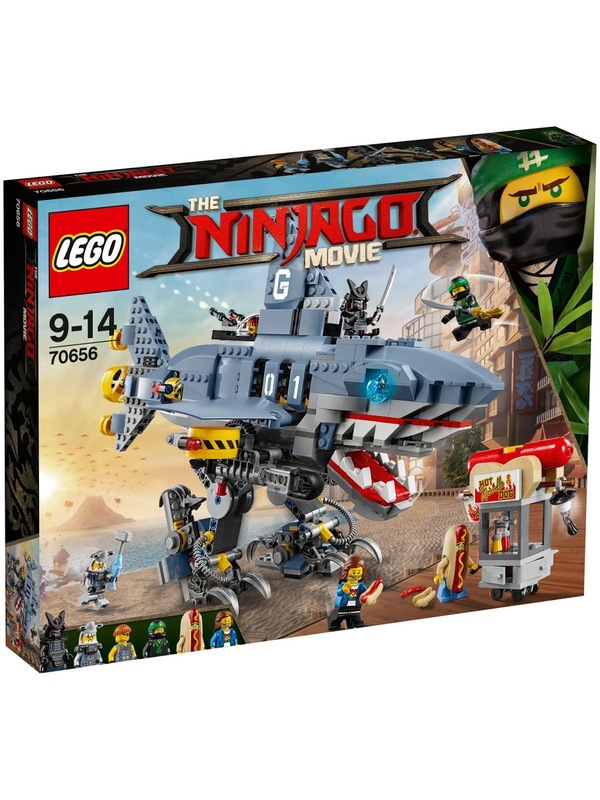 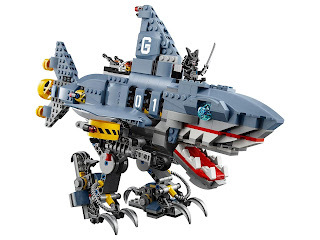 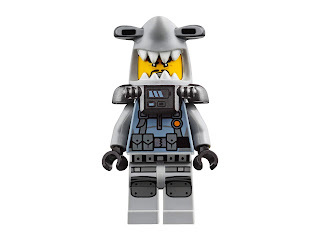 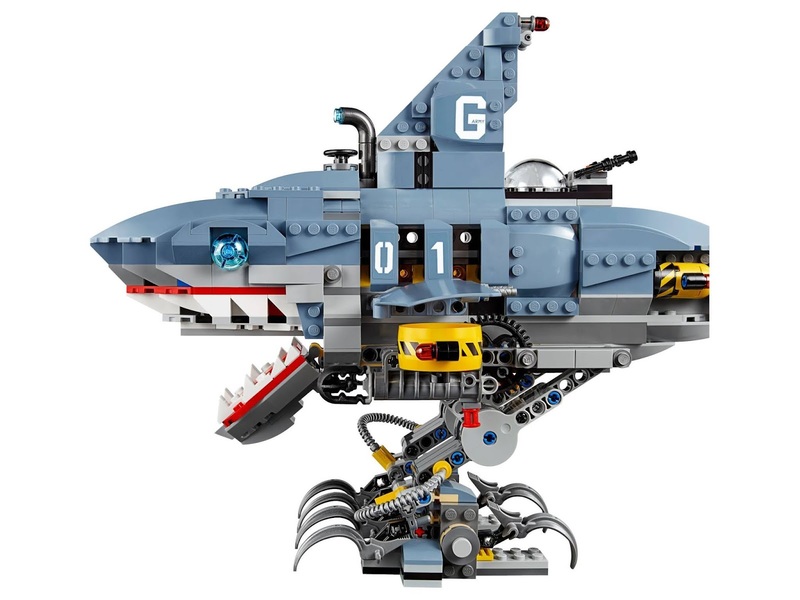 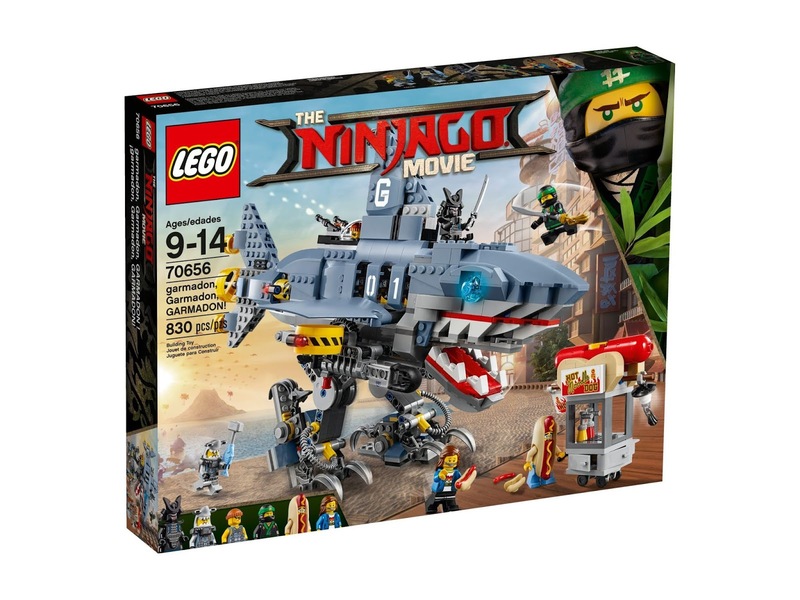 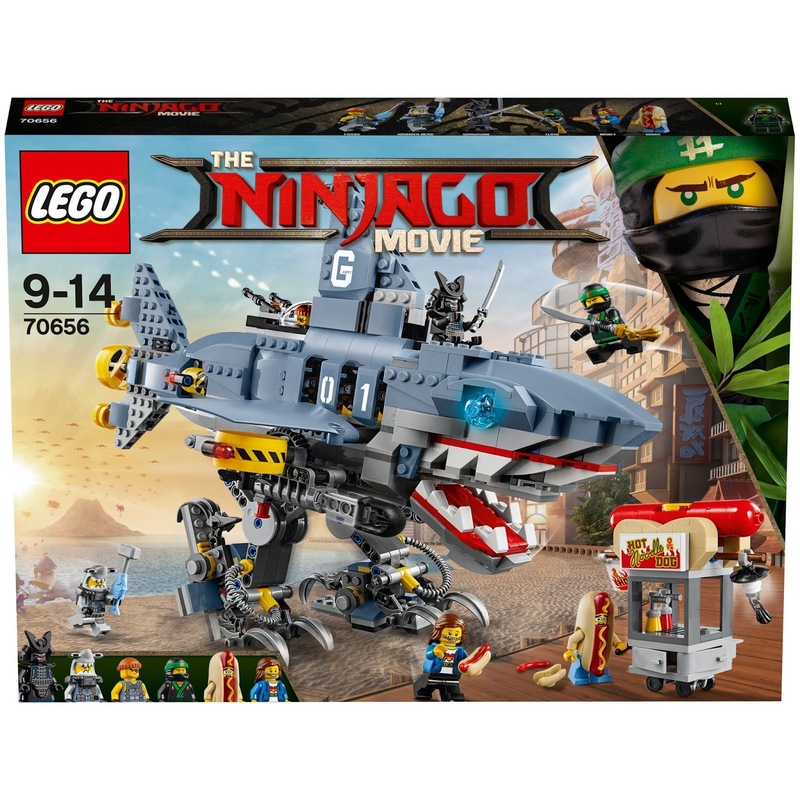 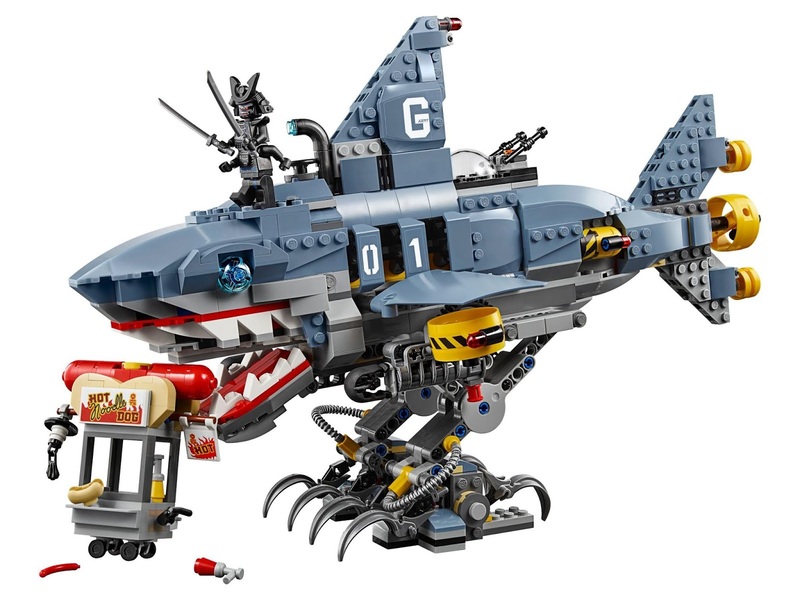 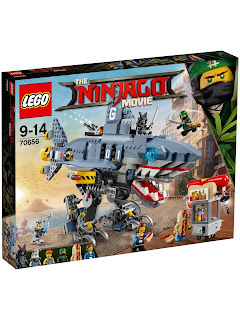 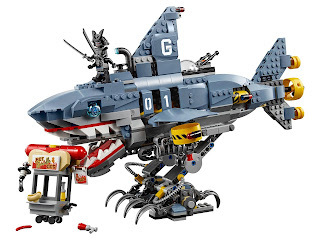 the garmadon shark mech has 2 openable minifig cockpits, a garmadon minifig stand on top of the shark's head, trigger operated snappable jaws, posable legs, 2 shooting cannons, shark fins, 3 rotatable propellers and transparent blue eye elements. 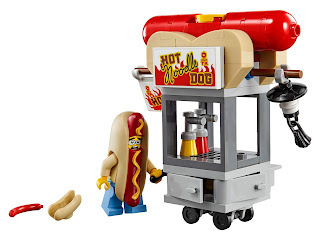 the hot dog stand has a big buildable sausage on the roof, ‘hot noodle dog’ sign, ‘hot’ flag, a hot dog and 2 condiment dispensers. 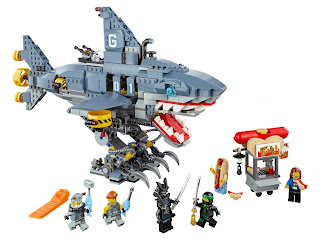 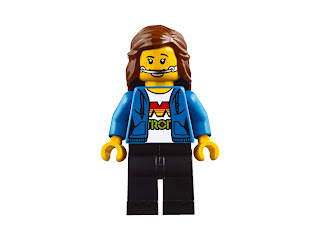 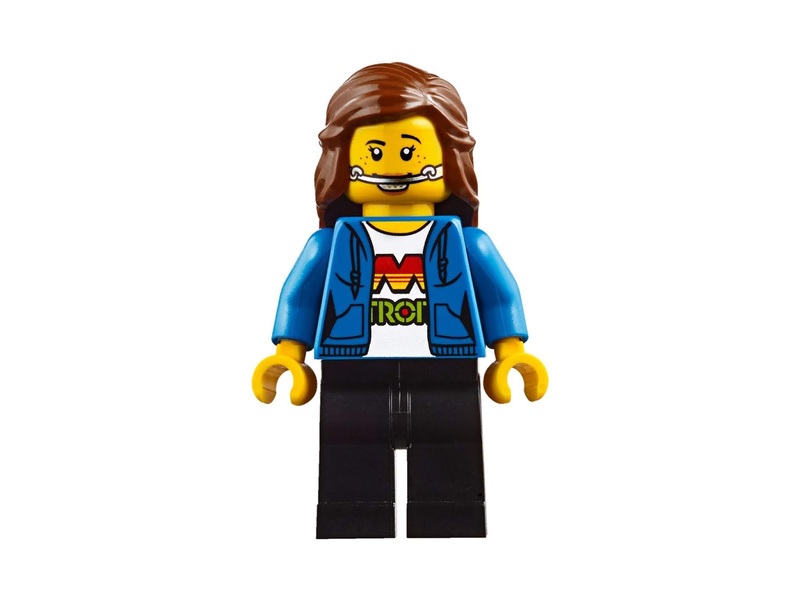 minifigs included a garmadon minifig, a lloyd minifig, a hammer head minifig, a frank minifig, a nomis minifig and a nancy minifig.